The Command Group works with governments around the world to protect Heads of State and senior officials from an array of threats. We offer an unmatched team of executive protection experts who dedicated their careers to protecting and supporting the President and Vice President of the United States, all living former Presidents and their families, and other U.S. and foreign dignitaries. No team has deeper or more diverse experience in carrying out the complex mission of protecting preeminent government officials from the full spectrum of man-made and natural threats. ​We help government organizations charged with protective missions assess, develop, and enhance key capabilities as well as design, acquire, and integrate cutting-edge technologies and assets. 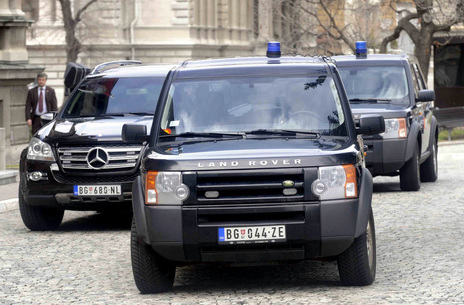 We also provide personnel to bolster protective details and provide close protection, advance, and other critical support services to government officials and their families. Command Consulting helps government authorities around the world assess and enhance executive protection capabilities and assets. The Command Group provides elite executive security services to private sector organizations and high-net-worth individuals.